Consistent home maintenance can cut down on the number of tasks you'll need to tackle when it's time to put your property on the market. you choose plants for your front lawn that are native to your area and will thrive without much fuss from you. 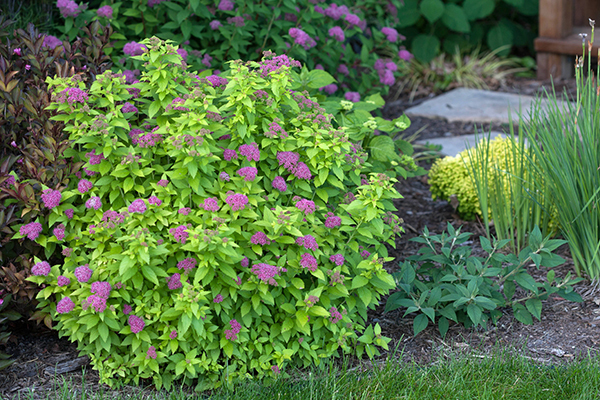 Look for slow-growing shrubs and trees that won't obstruct or damage the home. "Foundation" plants like boxwood and varieties of evergreen yew bushes are ideal for planting along the base of a home, since they provide color but won't block windows or doors. Keep your front landscape lush and green by installing an automatic irrigation system or by snaking drip or soaker hoses, which typically use less water than sprinkler systems, through your planting beds. low-maintenance garden beds filled with evergreen shrubs and mulch, or add displays of ornamental grasses, which grow well in most soils and require little maintenance. You can also significantly up your home's curb appeal by removing a bit of lawn for an outdoor seating area, which can be created by placing a garden bench in an area of stones, gravel or mulch. Make it a habit to periodically check your home's paint or siding for peeling paint, damaged siding or mold growth. The siding can be cleaned with a garden hose, a long-handled brush and with regular liquid soap and water. Just be sure to spray down, not up, on your siding to avoid getting water underneath the shingles, which could damage your home. If you are able, get on a ladder regularly and check your roof for damage, debris, moss and algae, and for clogs in your gutter system. Otherwise, hire a pro to do the job. Good times to check are before the winter season for preventative maintenance, and in the spring to fix any detrimental effects of winter. 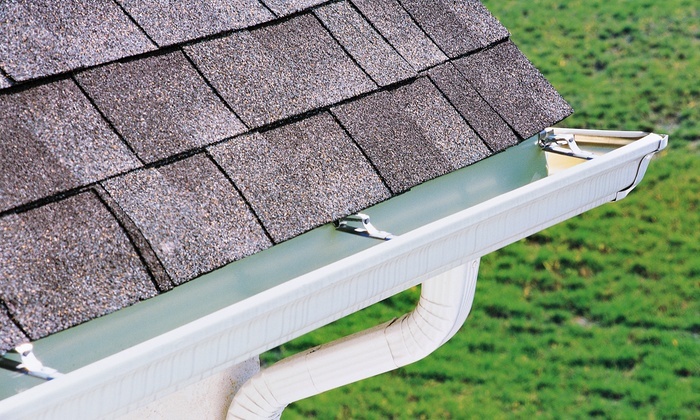 If left unchecked, clogged gutters can lead to overflows of water from your roof that can saturate foundations, and missing shingles on the roof can lead to interior home leaks. Driveways and walkways are what will lead a potential buyer to your home, so keep them in good shape. Weeds and cracks in walkways and driveways should be dealt with as soon as possible to prevent moreserious problems. 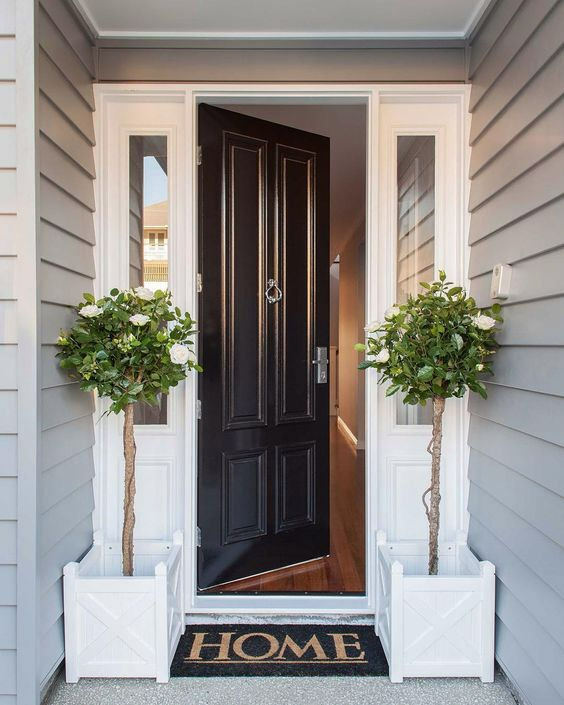 The main doorway of a home gets a lot of use and can fall into disrepair. 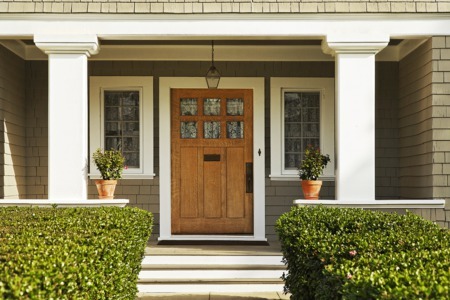 The front door is a focal point, so it's important to keep it looking nice to maintain your home's curb appeal. 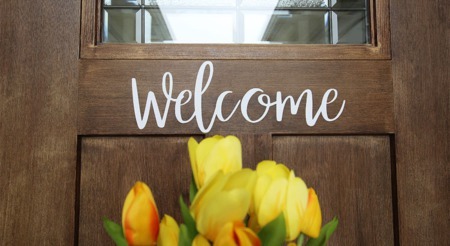 Fix any rotted or unpainted wood around the front door, make sure the doorbell works property and repair loose railings. If your windows are drafty and don't pass muster anymore, put money away for this upgrade long before you decide to sell. While fairly costly, energy efficient windows will save you money over the long term and are appealing to today's cost-conscious buyers. 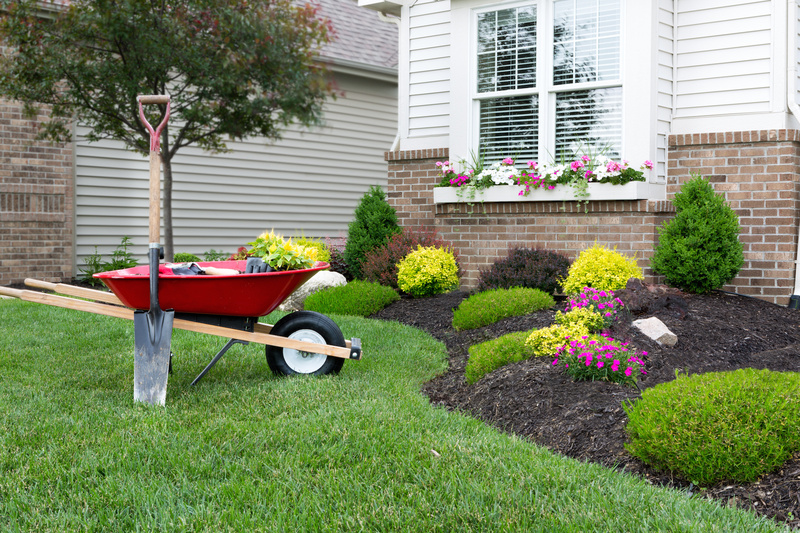 Trim plants every spring and fall as needed to keep them looking good and to prevent them from damaging the home. 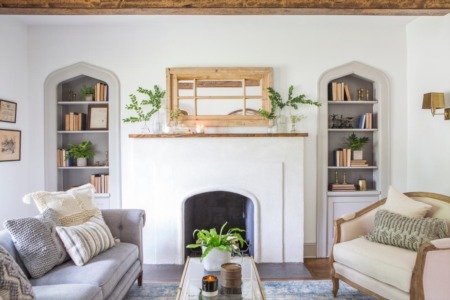 Overgrown trees and shrubs obscure a house and detract from the property's curb appeal."